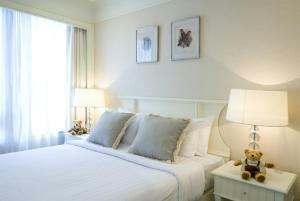 Cape House offers elegant residences with well-equipped kitchenettes and free Wi-Fi. 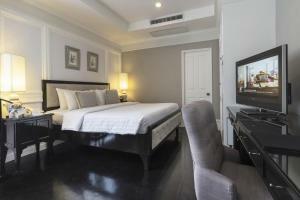 Less than 500 metres from Erawan Shrine in the city centre, it features an outdoor pool, free parking and 24-hour concierge services. 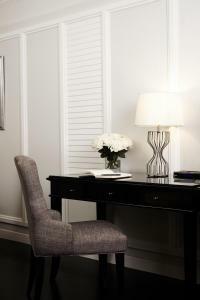 Furnished with classic white-washed interiors and earth tones, the spacious units come with ample lounge area, crisp linen and a cable flat-screen TV. 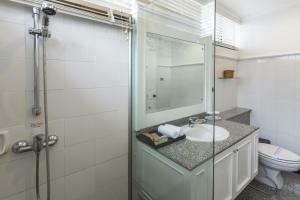 Large bathrooms have separate bath and shower areas. 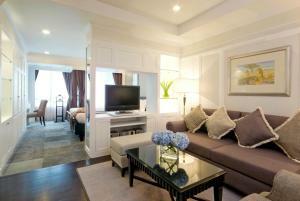 Cape House Serviced Apartments is just one km from Pratunam Market and the city centre. 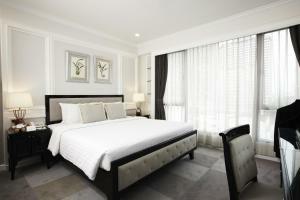 It is within 22.5 km from the Don Muang and Suvarnabhumi international airports. 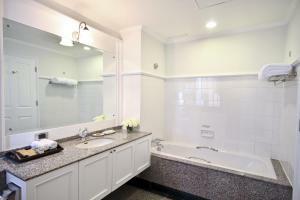 Guests can enjoy the sauna and steam baths after active gym workouts. 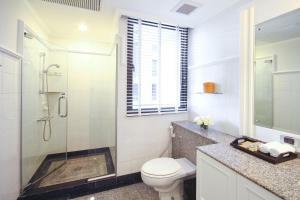 Other conveniences include massage rooms, meeting rooms and a business centre. 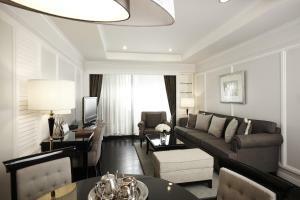 An executive lounge provides free coffee and snacks. No.43 serves an excellent selection of Italian cuisine. Room service and a minimart stocking basic groceries are available. 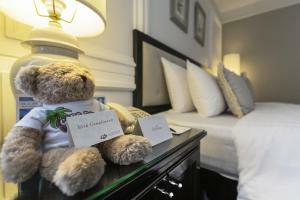 Please note that the name of the credit card holder must be the same as the guest's name. 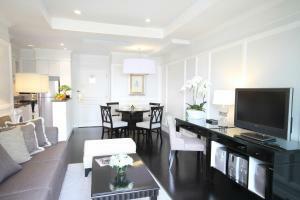 The credit card, along with a photo identification, must be presented to the property upon check-in. 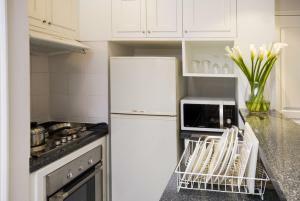 This classic studio offers the convenience of a well-equipped kitchenette, lounge area and free internet access. 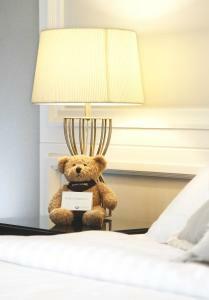 Guests receive a complimentary Signature Teddy Bear. Please note that extra bedding is not allowed. 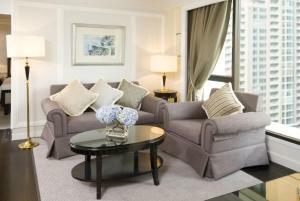 Offering spacious interiors with a separate lounge area, this elegant unit features a kitchenette, washing machine and full-length glass doors. Free internet access is available. 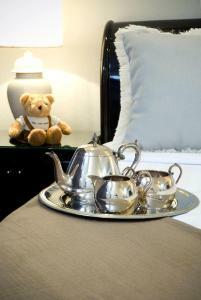 Guests receive a complimentary Signature Teddy Bear. 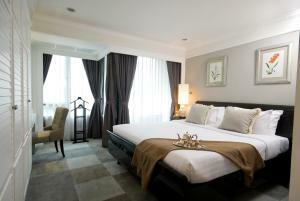 This double room features a executive lounge access, DVD player and tile/marble floor. Please note that this is a smoking room. 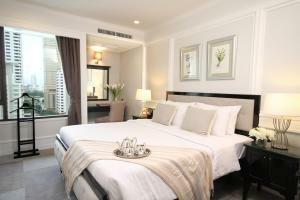 Rate: THB 3970.00 ... THB 9500.00; select dates below to get current rates. 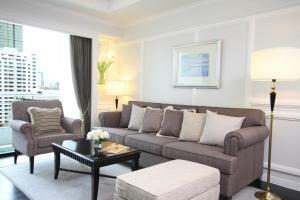 This suite features air conditioning, CD player and stovetop.